Every time one of our favourite Hollywood couples get engaged, the first thing we all can’t wait to catch a glimpse of is the extravagant engagement ring that accompanies the proposal. 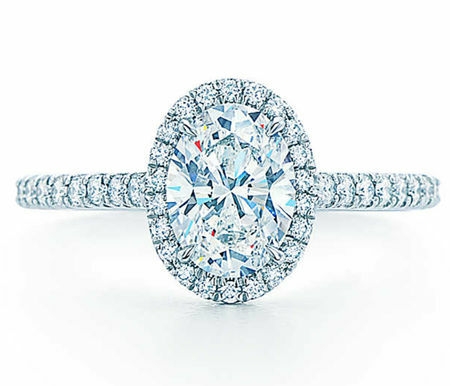 While almost all celebrity engagement rings are worth ogling, we do still have some favourites! 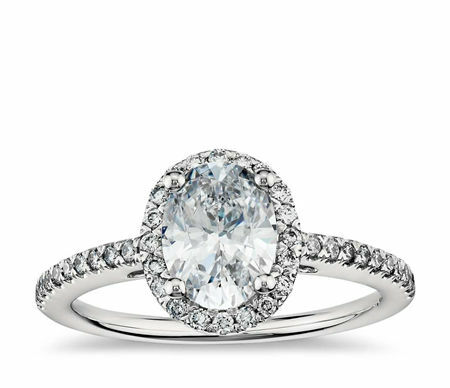 One of our top picks is Gossip Girl star, Blake Lively's engagement ring. Not only did Blake bag herself a gorgeous husband when actor, Ryan Reynolds, popped the question in 2012; she got an equally gorgeous engagement ring! Ryan presented his bride-to-be with a dazzling 12-carat oval-cut diamond set in rose gold. Blake Lively's engagement ring also features pavé diamonds along the thin rose gold band, giving her engagement ring some extra sparkle. She is one of the first (and very few) Hollywood stars to wear a rose-gold band, but we expected no less from such a fashion-forward lady. The ring was designed by world-renowned jewellery designer, Lorraine Schwartz, who also happens to be a close friend of Blake’s. A spokesperson for Lorraine Schwartz confirmed that Ryan worked closely with Lorraine to design the perfect engagement ring for Blake, as it needed to look good on her petite fingers. 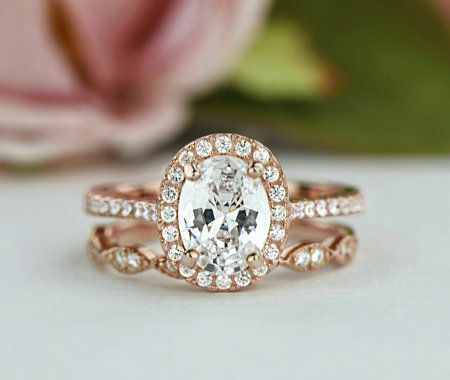 The pair finally settled on a dusty pink oval diamond that boasts some serious clarity. 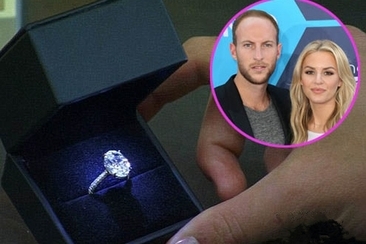 So how much did it set Ryan back to give the beautiful Blake Lively the engagement ring of her dreams? It’s estimated a cool $2 million! Talk about pulling out all the stops! At that price tag it’s no wonder Blake is wearing the biggest oval-cut engagement ring in Hollywood. So how can us “normal” folk get our hands on Blake Lively’s engagement ring? Luckily, jewellery designers all over the world make beautiful oval cut rings to suit dainty fingers and fit your fiancé-to-be’s budget! We’ve picked our top 8 Blake Lively's engagement ring lookalikes, so you can get the look and get some bling like Blake for a fraction of the price. Set in timeless platinum and boasting a beautiful oval-cut diamond (carat of your choice) framed in pavé diamonds with an eternity band, this show-stopping ring starts at a budget-friendly $2800, making it a winner for ladies after a classic look. If you’re a lady who prefers the finer things in life, then opting for some engagement bling from a world-famous designer is simply a must, right? Look no further than this beautiful Harry Winston creation, set in enduring platinum. With a centre oval-cut diamond available in 1 carat up to 2.5 carats and micropavé diamonds framing the diamond and along the band, this ring will have everyone you meet green with envy. The price tag? Starting at around $40 000. 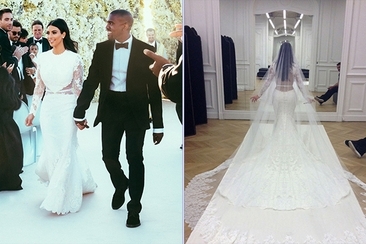 You’ve seen the picture-perfect moment in movies and on Instagram. The guy gets down on one knee and presents a blue box to his lady-love. If you fancy yourself a bit of a Carrie Bradshaw, then having your Tiffany moment is right up your alley! You’re looking at around $15 000 for a 0.25 carat oval diamond surrounded by bead-set diamonds, all set in striking platinum. 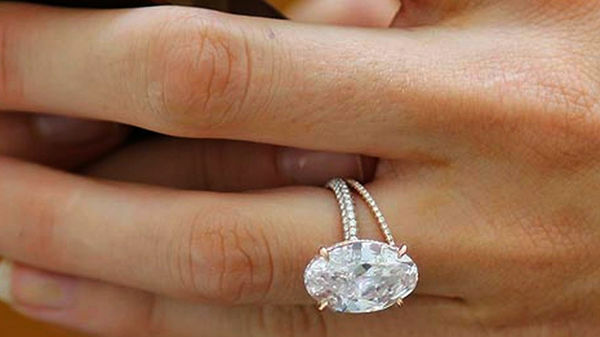 When looking for a ring similar to Blake Lively's engagement ring, you can’t miss this one. Created by up-and-coming jewellery designer, Victor Canera, this ring features an oval-cut 1 carat diamond set in 18kt rose gold. 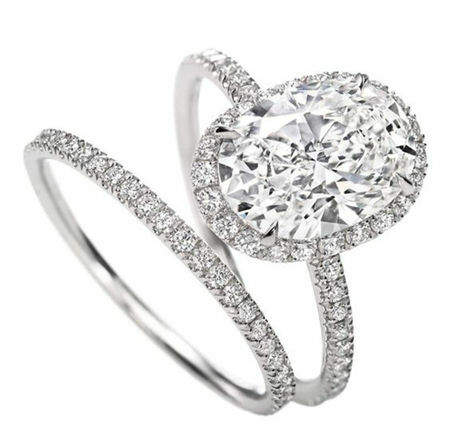 The diamond is set in a 4 claw basket with pave diamonds along the base of the claw. It truly is a masterpiece and perfect for brides-to-be who appreciate art. 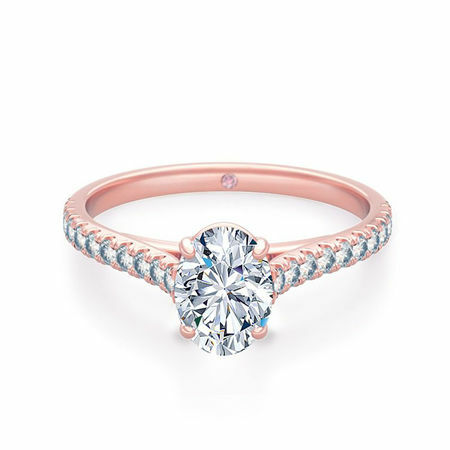 A 0.40 carat oval-cut diamond set in 18kt rose gold with pave diamonds lining the band, make for one beautiful ring. 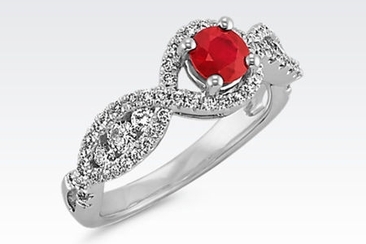 The perfect fit for the hopeless romantic, it is also budget friendly at around $2500. This breath-taking ring set in platinum features a micropavé halo and diamonds along the band, with an impressive centre oval-cut diamond that’s sure to have you saying “yes.” It also comes with a matching wedding band you can slide on at your ceremony. 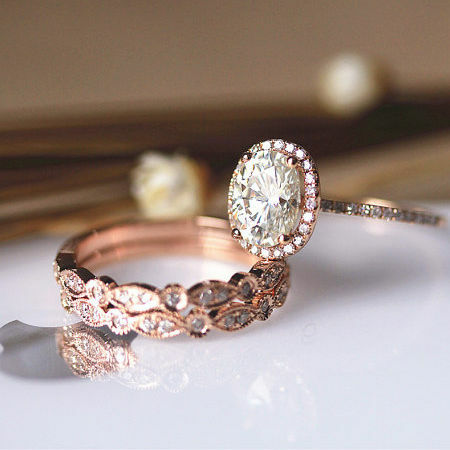 This beautiful ring set has a vintage feel, with a brilliant moissanite stone set in 14kt rose gold, nestled between two rose gold bands that are lined with 0.31 carat diamonds. Fitting for a bride who loves old world charm, this set is wallet-friendly at only $1350. 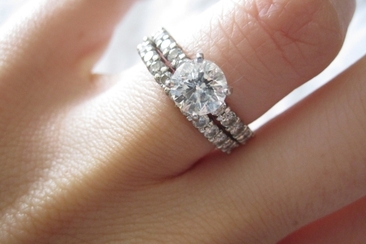 If you’re strapped for cash, you can still get an eye-catching engagement ring. 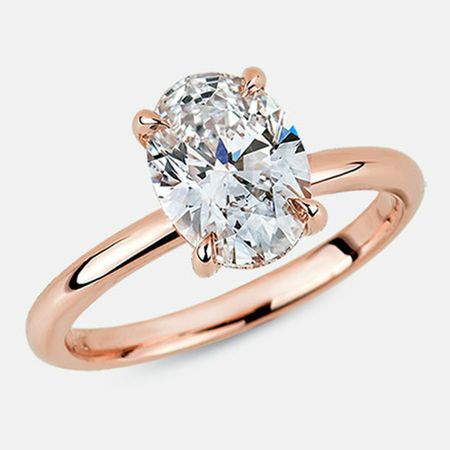 Oozing modern romance, this oval-cut imitation diamond is set in rose-gold plated sterling silver. 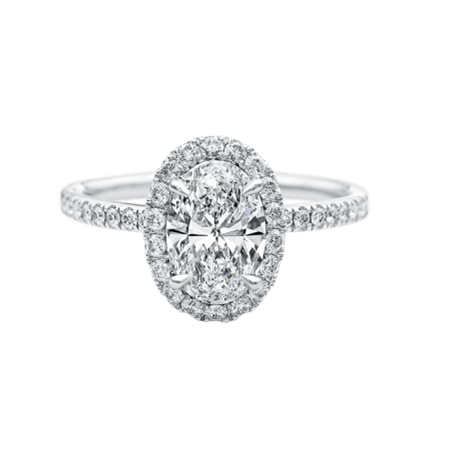 Featuring a pavé halo and pave band, along with an intricate wedding band, at only $180 it’s the perfect starter ring for young lovers. No matter your budget or your taste, you can also rock Blake Lively's engagement ring look with all the options available to you. Happy ring shopping! 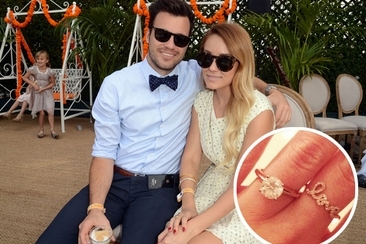 Lauren Conrad engagement ring is a solitaire ring that is a stunning and classic option that many celebrities like. In this article, we will take a closer look at it and recommend similar ones.